There is a new running event adding to the incredible line-up of runDisney events hosted at the Walt Disney World Resort. 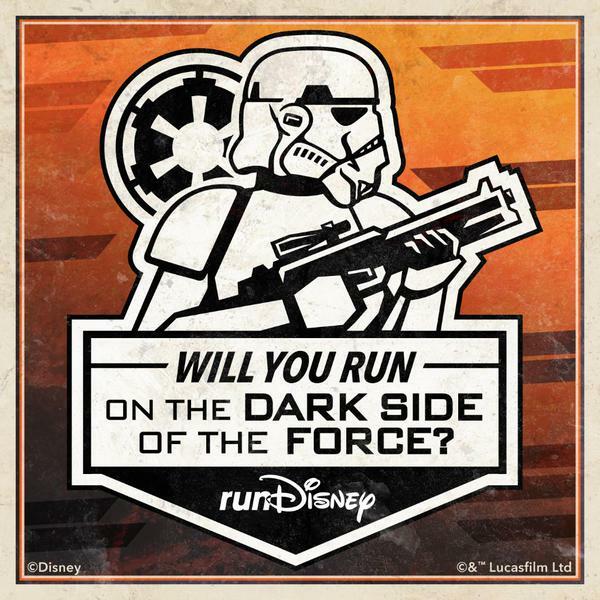 It is called the Star Wars Half Marathon - The Dark Side. 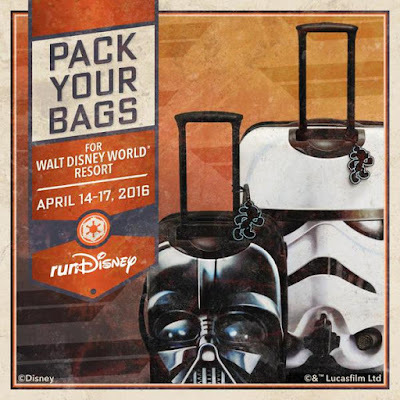 This newly announced series of running events will be held April 14-17, 2016. 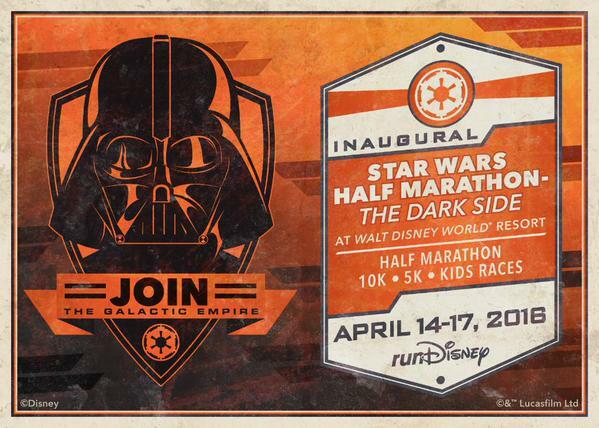 These races are not to be confused with the Star Wars Half Marathon that occurs in January at Disneyland Resort in California. These races will have a decidedly darker feel with an emphasis on the characters that you love to hate from the "evil" empire. There is a full slate of events during the weekend including kids races, 5K, 10K, and culminating with a half marathon on Sunday April 17. Although it doesn't take runDisney fans much to get them excited about a new race, the idea of having a Star Wars theme race on the East Coast is very exciting. For anyone that has participated in a runDisney event at the Walt Disney World Resort previously, you will already know that running a distance race at Disney World is truly a magical experience. It is beyond any other running experience you will encounter. Besides the relatively flat course you will have an amazing array of entertainment and photo opportunities along the course, a chance to run backstage at Disney World, and be cheered on by family, friends, and the incredible Disney Cast Members. 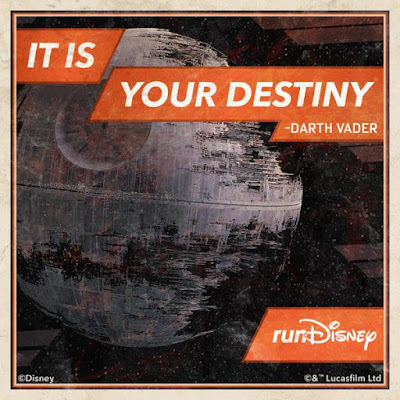 Check out runDisney.com to register and join the excitement! 0 comments to "Star Wars Half Marathon - The Dark Side at Walt Disney World Resort"